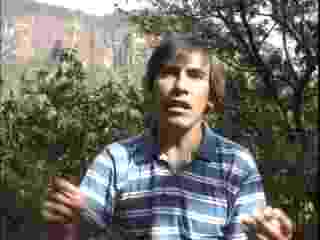 Phony contactee, likes to make bogus UFO videos using models and lights. Filmed so-called plasma ships that are clearly models that no three-year-old would believe. Claimed that aliens lent him a tripod to take photos of their ships...did the aliens lend him all his fake photos and video too? Endorsed by Sean David Morton - a sure sign that its a hoax. Has refused independent analysis of his 'evidence.' Diaz is Mexico's version of Billie Meier. Here's what Scott Corrales has to say about him. Right: A Diaz 'Plasma Ship' looking suspiciously like a Japanese Lantern.